Silver Wood is a end coffee table for the sitting room with metal tubes structure and top in coated wood. 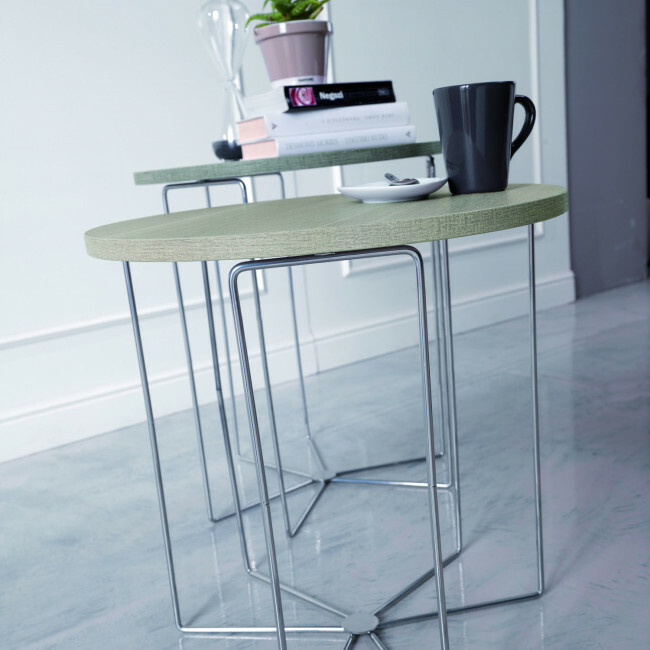 The combination of two different materials characterizes this end table in an extremely marked way. The structure in "interwoven" metal echoes an idea of lightness and inconsistency, whereas the wooden top recalls solidity. 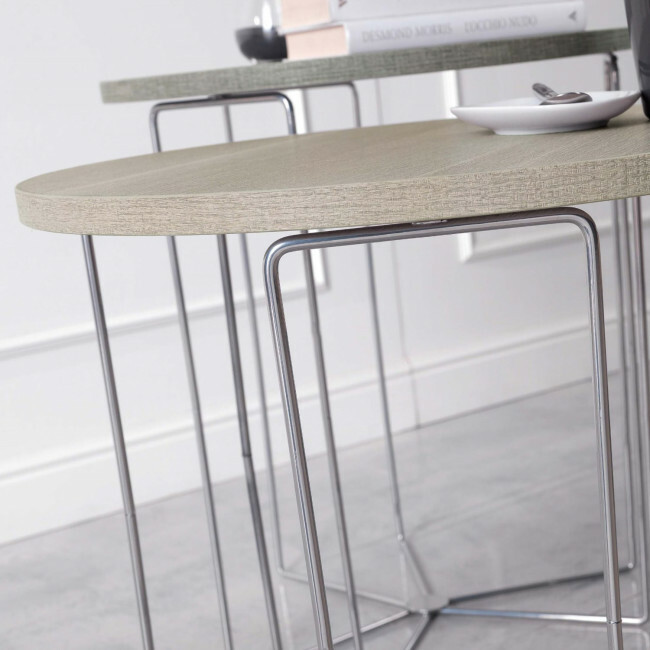 Silver Wood is available in 5 finishes among which there is nadir-silk, a young and informal solution which makes original even an ordinary accessory. Available in two heights, it is ideal for a placement near the sofa as an extra surface for remotes, books, tea or coffee cups. By matching two or more end tables it is possible to create a pleasant composition and customize the envionments. 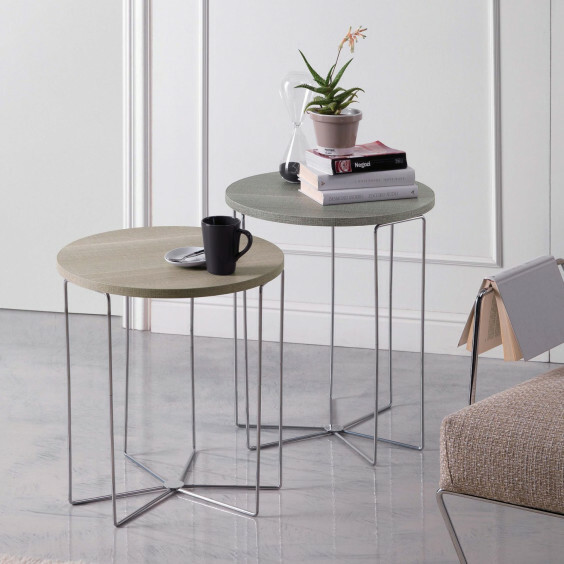 Silver Wood is a end table of Maconi coffee tables collection with circular top and structure in metal tubes.